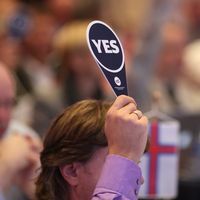 Two of the giants of women's handball are set to organise Europe's biggest national team event in 2020 as the EHF Congress awards Norway and Denmark the right to organise EHF EURO 2020. Herning and the 14,000-capacity Boxen Arena in Denmark as well as Stavanger and its Idrettshall, Trondheim with a newly constructed arena and the 13,000-capacity Telenor in Norway's capital Oslo are the four venue and host cities included in the bid. Group A and Group B in the preliminary round will be played on alternate days in Herning. Trondheim in Norway - also on alternating days - hosts the preliminary round for Groups C and D.
The main round will take place in Herning and Stavanger and the finals will take place in Oslo's Telenor Arena. Through the organisation of the event, the hosts are looking to inspire unity and friendship, provide better conditions for players and provide a legacy for the next generation of handball players. Commenting on the awarding of the championship, the Mayor of Trondheim, Rita Ottervik, who was part of the bidding team said: "The city is very excited to be one of the hosts of the Women's EHF EURO in 2020. "In the Trondheim region we have more than 170 handball clubs and over 17,000 handball players and hosting EHF EURO is part of the city's ambition to host more international sports events." The two nations will jointly host the event for a second time, following a highly successful Women's EHF EURO in 2010.